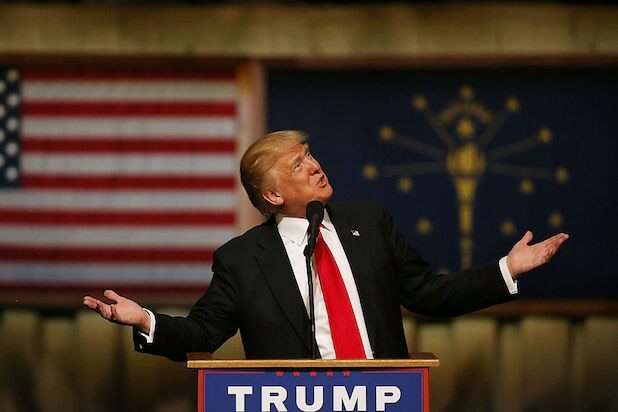 Presumptive Republican presidential nominee Donald Trump blamed a “rigged system” for the FBI’s decision not to recommend charges against Hillary Clinton for her use of a private email server when she was secretary of state. “The system is rigged. General Petraeus got in trouble for far less. Very very unfair! As usual, bad judgment,” Trump tweeted shortly after the FBI’s surprise news conference. “FBI director said Crooked Hillary compromised our national security. No charges. Wow! #RiggedSystem,” he wrote in a follow-up tweet. Also Read: No E-Mail Charges for Hillary Clinton - What Else Ya Got, Trump? FBI director James Comey announced Tuesday that 110 emails sent or received on Clinton’s server contained classified information but said, “no reasonable prosecutor” would bring charges against Clinton in this scenario. The Trump campaign has issued a statement expressing displeasure with the decision. Comey also said it is possible that “hostile actors” gained access to Clinton’s personal email account. FBI agents interviewed Clinton over the weekend as a final step of the investigation and Tuesday’s surprise announcement essentially removes the threat of criminal charges. “Because of our rigged system that holds the American people to one standard and people like Hillary Clinton to another, it does not look like she will be facing the criminal charges that she deserves,” Trump’s campaign wrote. Donald Trump’s potential running mate will be a hot topic that could change the landscape of American politics. Now that he's the presumptive GOP nominee, he'll likely draw his vice president from one of these 29 options. New Jersey Gov. Chris Christie has endorsed Trump and could form a tough-talking -- if geographically narrow -- ticket. Former Speaker of the House Newt Gingrich ran unsuccessfully for president in 2012 and has been a dutiful party loyalist. Beltway insiders have speculated that he'd make a fine choice. Iowa Sen. Joni Ernst would help appeal to females and Midwestern voters. Ted Cruz was Trump's final serious threat for the GOP nomination, but it wouldn't be out of the question to see them pair up in attempt to unify the party. Indiana Gov. Mike Pence spent time with Trump’s family over July 4 weekend. Ohio Gov. John Kasich has mostly avoided personal attacks on Trump and comes from a key swing state. Plus, he was one of several rivals whom Trump has name-checked as possible cabinet material. New Mexico Gov. Susana Martinez is both female and Hispanic, which may be why Fox News host Bill O’Reilly recently called her “the only choice” if Trump wants to win. Alabama Sen. Jeff Sessions is the head of Trump's national security advisory group. Lt. Gen. Michael Flynn is reportedly on Trump's short list. Florida Sen. Marco Rubio and Trump exchanged harsh words during the election cycle, but crazier things have happened. This election cycle, in fact. South Carolina Gov. 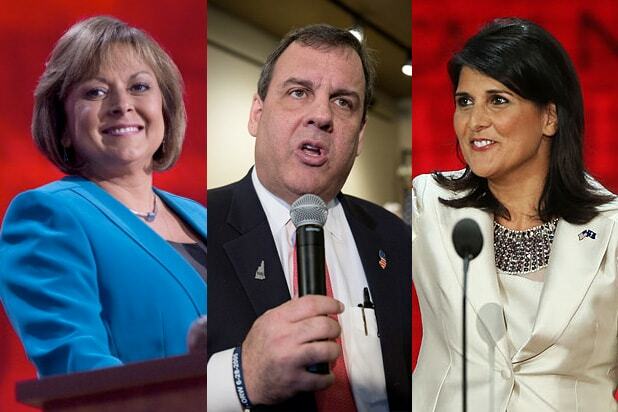 Nikki Haley is considered a rising star of the GOP. Wisconsin Gov. (and former presidential candidate) Scott Walker has been mentioned as a possible running mate -- though he endorsed Cruz. Rick Scott is a two-term governor of Florida, an all-important swing state. Former Texas Gov. Rick Perry has endorsed Trump and expressed interest in the VP gig. Nevada Gov. Brian Sandoval could potentially help Trump with Hispanics. Gen. Joseph Dunford is currently the 19th Chairman of the Joint Chiefs of Staff and could mitigate Trump's lack of military experience. Mary Fallin is Oklahoma's first female governor and a former real estate broker, the industry on which Trump built his brand. If Trump ever slips up in the fall campaign, former candidate Ben Carson can say, "It doesn't take a brain surgeon to know that was a bad idea." Former Arkansas Gov. Mike Huckabee is a true conservative who seems to like and respect Trump. Former secretary of state Condoleezza Rice would compensate for much of Trump's inexperience in foreign policy as well as his standing with women. Her ties to the Bush family, however, might make her think twice. Rudy Giuliani would give Trump a New York-New York ticket. Trump once said former Massachusetts Sen. Scott Brown would be a “very good” fit on his ticket. Joe Scarborough is a politician-turned-broadcaster who is friendly with Trump, the occasional Twitter feud notwithstanding. Sarah Palin has experience being the VP on a GOP ticket and has made a series of very public appearances in support of Trump. Ohio Rep. Jim Jordan is popular with House members and would help advance a Trump agenda. Ohio Sen. Rob Portman has ties to Trump and would help in the swing state of Ohio. Newsweek recently called Ivanka Trump a "wild card" contender in a race that has only gotten increasingly wild. Form U.N. ambassador John Bolton is highly regarded among conservatives. U.S. Rep. Marsha Blackburn from Tennessee is leading the House panel investigating Planned Parenthood. Retired CEO of Godfather's Pizza and one-time frontrunner for the GOP presidential nomination Herman Cain is a vocal Trump supporter.